University of Benin, UNIBEN postgraduate admission form for the 2018/2019 academic session is out on sale and application has commenced. Applications are hereby invited from suitably qualified candidates to the University of Benin (UNIBEN) postgraduate programmes admission for the 2018/2019 academic session. The postgraduate programmes lead to the award of Postgraduate Diploma, Masters degree and Ph.D in the various Faculties/Schools/Institutes of the University of Benin. Candidates are advised to always check the website for those courses that require written entrance examinations. Please indicate your email address and telephone number when applying. UPDATE: UNIBEN Postgraduate Entrance Exam Date & Schedule – 2018/2019. A Candidate for postgraduate studies in the university of Benin must have obtained at least five (5) credits in WASC, NECO, GCE (ordinary level or their equivalents,) A credit pass in Maths and English is required. A holder of a Pass (Degree/Diploma) is not qualified for admission into the postgraduate programme of the University of Benin. In addition, all holders of 3rd class degree must possess PGD to be considered for admission into the Masters programmes. Candidates who obtained Masters degree but with Weighted Average Score (WAS) between 55.0-59% can only be considered for admission into the M.Phil programme in the first instance. A candidate applying for the Ph.D in any programme of the University of Benin must have obtained a weighted average score of 60% or letter grade ‘B’ average in the Masters degree. Candidates should request their former Universities/Institutions to forward their academic transcript(s) to the “Secretary, School of Postgraduate Studies”, to reach him not later than 8 weeks from the date of this publication. Applications of candidates whose transcripts are not forwarded to the school shall not be processed. Candidates applying for 2017/2018 UNIBEN PG admission should request their referees to mail reports on them directly to [email protected]. or the Secretary, School of Postgraduate Studies. Applications shall not be processed unless the referee reports are available. Note: students are advised to always check the address/telephone when applying. To download the referee form (UNIBEN Postgraduate Referee Form – PDF) – click here. Candidates applying for 2017/2018 UNIBEN Postgraduate Admission are to purchase application forms online with valid VERVE OR MASTER ATM BANK CARD from any commercial bank in Nigeria for the sum of N20,000.00 (Twenty thousand naira only). 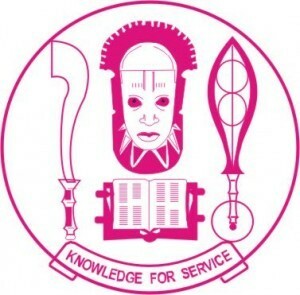 The Application form must be correctly filled with all information required before submitting online and thereafter printed out from the UNIBEN WAEUP PORTAL LINK – https://myuniben.org (for those searching for www.pgs.edu.uniben.com), use the first link instead. Only candidate given admission into the various UNIBEN Postgraduate Programmes are to proceed to pay the total amount of Non-Refundable Acceptance fees itemised below. The closing date for for submission of all UNIBEN PG application is 31st August, 2018 all application processes must be completed on or before. Best of luck in your applications and in your academic programmes at UNIBEN!